When it comes to promoting your company's brand, effective marketing can take on many forms. It's important to remember that large-scale digital marketing campaigns and commercials are not the only way to spread brand recognition. Of course, the right marketing strategy will depend heavily on the type of business in question. While a hip brewery might benefit from an active social media presence, a CPA might benefit more from a traditional advertising campaign in the local newspaper. Let’s Cheer the Dodgers to another victory! Insta, as part of its MLB licensing agreement, printed Championship Shirts for the LA Dodgers in their historic run for the MLB title. The unforgettable Kirk Gibson homerun was part of the memorable 1988 year. Insta's SGIA 2017 Golden Image Awards Entries! We are a proud recipient of 2 Golden Image Awards at the SGIA 2017 EXPO in New Orleans. Check out our designs! The “Kobe” and the “Imperfect World”! Come Visit Us at the 2017 SGIA EXPO! If you are in the area come and visit the upcoming 2017 SGIA EXPO (New Orleans October 10-12) and be sure to hurry over to our booth, #3172 to take a look at our featured designs, like this “Imperfect World Design”. We will be also featuring our award winning heat press machine, the Insta 256. Come on down! 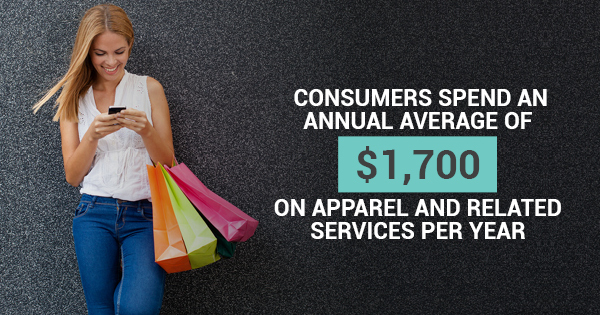 The current global clothing and textile industry is worth an estimated $2.560 trillion. And if you want to make the decision to enter this market, then you're going to need heat press machines or heat transfer presses to create your own designs. You can't buy happiness, but you can buy coffee and that's pretty close. Quick! Grab a cup because today is International Coffee day! Here is an article in Printwear written by Jimmy Lamb of Sawgrass on how to sublimate socks. They are featuring our Insta 228 heat press machine. Personalizing and Customizing Graphic Designs on your Caps! Introducing one of our favorite Heat Press Machines, THE INSTA 418! This Model makes printing on hats a breeze. Today is International Peace Day! We invite you to join or organize a public or private activity related to peace. Spread the word about International Peace Day or attend an event in your community. Let's make the world a better place! Take a look at our FASTRANS III transfer. Incredibly soft material and bleed-through for a worn-In, vintage effect. This transfer is perfect for graphic designs on T-shirts and Tagless labels. Here are some Insta M&Ms for you! Summer is over and kids are getting ready to go back to school! Check out our “Phat Free” transfer that is great for children’s wear, ages 3+. Our thoughts and prayers go out to all that were affected by Hurricane Harvey. Please click on the link below to donate and support the National Voluntary Organization Active in Disaster (NVOAD). Who is excited for National Dog Day Tomorrow?! Here’s another Insta dog . Who do you think the owner is? In honor of National Dog Day this week, we will post some of our employee’s family members. Who do you think is owner of these dogs?! When preparing art that will be used with an embossed graphic it is important to take a moment to understand how the artwork needs to be constructed in order to be able to truly capture the value that an embossed image can bring to the overall design. Free Shipping – Summer Sale! That’s right! Shop our machines online and get FREE shipping. You know you’ve been waiting to purchase that Insta 418 Cap Press or upgrade to one of Insta’s automatic machines, well now is the time! Take advantage of our free shipping offer and save. The CrossFit Games, taking place Aug 3-6, 2017, is the world’s premier test to find the “Fittest on Earth™.” The Games were designed to provide the truest measure of an athlete’s physical capabilities and endurance. When attacking the most grueling of substrate challenges, don’t let your image hold you back. With the CrossFit games coming up, trust INFINITY™ to be right there with you when you are pushing your TEAM to the limit. If you are in the Los Angeles area, come down to the NBM show, today and tomorrow (July 21 and 22, 2017) and see the latest trends in apparel decorating. Thank you Kim Karsh of California Pro Sports for sharing your Insta Testimonial! California Pro Sports was our second place prize winner at last year’s Vintage Heat Press contest. Insta Graphic Systems will be closed for business Monday, July 3rd and Tuesday, July 4th in observance of Independence Day. Heat Transfers can be used in multiple ways for the imaging of textiles and one area of apparel decoration is ideally suited for heat transfer embellishment: Micro sized heat transfers. Small micro graphics, tagless labels, identification / hang tags, badges, emblems to name a few are ready made for the micro size heat transfer treatment. In a recent article published by Impressions magazine, our very own Chris Pluck gives us some tips on how to benefit from Heat Transfers. In an article published by Impressions magazine, Chris Pluck shares with us some of his knowledge on heat transfer technology. Join us at the upcoming ISS Long Beach 2017 show, January 20-22. We are located at Booth #1828! Check out our machine and transfer demos throughout the weekend. Join Insta Graphic Systems at the NSCAA Soccer Expo on January 12-14, 2017. Come see our state-of-the-art custom heat transfers and AWARD-WINNING 256 heat press. These photos were taken at our Holiday luncheon, where we were treated to a great performance of an original “Insta” song composed by Terre Barbin! As Thanksgiving approaches, we at Insta want to extend our warmest and heartfelt “Thank You” for your support. We greatly appreciate your business and value our relationship. When choosing a heat transfer for a specific fabric or apparel type it’s best to know upfront that no one transfer will be sufficient for all given the many variables associated with fabric substrates, fabric surfaces, and apparel finishes. Performance Wear Apparel has completely arrived! The need to add shape and style to high stretch garments has never been more prolific and exciting. Performance synthetic fabrics such as polyester, Lycra / Spandex and Elastomers as seen in Sportswear, gym and workout apparel are typical of the garments used. Congratulations to Epson for winning the SGIA Product of the Year in the Roll-to-Roll Dye Sublimation on Metal category which used the Insta 256 press! The Epson booth (#1137) is showcasing Insta’s new 1020 Oversized Heat Press as well as our Insta 256 model. 2016 SGIA Expo in Las Vegas This Week! Viva Las Vegas! Come and visit the upcoming 2016 SGIA Expo (Las Vegas Sep 14-16) as our guest with this FREE Expo Pass. Then be sure to hurry over to our booth, #2996 for exciting product news. Is it possible to Print More than One Image onto a Heat Transfer Sheet? “Absolutely, that is one of the advantages of printing transfers,” says Sean Savitch as recently quoted in Printwear. Multiple graphics can be arranged on one sheet and printed at the same time, provided that the same colors are used throughout the sheet layout. Congratulations to The Third Place Winner of our Vintage Heat Press Contest! Congratulations to David Camou of Soccer Warehouse for winning the third place prize in our Vintage Heat Press Contest! Insta 288 – Sublimation & Beyond! Insta Graphic Systems is excited to debut its New Insta 288 Manual Swing-Away heat press with an oversized platen. The new Insta 288 Manual Swing Away heat press machine is, with its 20” x 25” platens, our largest manual machine. Congratulations to The Second Place Winner of our Vintage Heat Press Contest! Congratulations to Kim Karsh for winning the second prize in our Vintage Heat Press Contest! We absolutely loved the story behind your Vintage Heat Press. As the second place prize winner, Kim has won either an Insta 204 Heat Press Machine or $750 towards a new machine. Free Epson Training Seminar at NBM Long Beach Today! Come by the NBM Long Beach Show this week for complimentary training seminars! Get into the spirit of Independence! Our Insta 201 is the perfect small format machine for your entrepreneurial shops. Its 13″ x 13″ platen and compact frame fits perfectly in a small space. This entry by Chris Pluck was recently published in Printwear: Puff Transfers have been used for the imaging of textiles for a long time. Their application to a variety of apparel types to produce a puff / embossed transfer finish was one of the first special effects heat transfer inks to be qualified and used in the transfer print shops. Win an Insta Heat Press! Enter to Win a New Press! Cerritos, CA – Insta Graphic Systems announces a contest for a chance to win a new Insta Heat Press. Now through June 30, 2016, customers can enter by simply sending a short video or pictures of their working vintage Insta heat press with a brief comment of why they love their Insta machine. Does Moisture Content in Apparel Affect Transfer Process? Visit Us at ISA Sign Expo Today! Come by Epson’s booth (#2557) at the ISA Sign Expo in Orlando, Florida. We are showcasing several of our new models at the booth, including our new Model 256 and our oversize Model 1020! Cris Saunders is at the show, so be sure to drop by and check in with her. The show ends April 23rd. How To Refresh Old Transfers? >How can I make my favorite garments decorated with transfers look new again after years of washing? Congresswoman Linda Sánchez chose Insta Graphic Systems as one of a few select companies to visit in her district. Congresswoman Sánchez represents California’s 38th congressional district and has been serving in Congress since 2003. Thank you for attending the Media One Workflow Conference last week. We had a blast! Thanks to everyone who came by. For more info on the 1020 Model pictured above, click here. Check out this new How-To video showcasing a foil application using our Insta Model 228 Heat Press. Learn how easy it is to apply a foil design to give your garments interest and bling! Insta has unveiled its newest addition to their heat press portfolio, Model 1020 large format oversized heat press. This new model features a large 39.4″ x 47.2″ (1 m x 1.2 m) upper platen as well as an automatic reciprocating dual tray system, thus practically doubling production output. In addition, Model 1020 features two air cylinders which produce even pressure for an ideal combination of increased productivity and reliability. Confused about using digital vs. traditional artwork? Don’t miss Chris Pluck’s new article in February’s Printwear: Traditional Versus Digital. Chris discusses art in regards to decorated apparel and compares digital and traditional artwork, the pros and cons and artist’s impressions on both. Congratulations to RAGS To Raches on Shark Tank Win! One of our clients, RAGS to Raches, recently came away a winner at ABC 7’s hit show Shark Tank! Congratulations to owner Rachel Nilsson & Co.
Insta supplies their tagless labels, printed using our Phat Free (Phthalate-free and CPSIA compliant) line of custom transfer products. Again, congratulations to RAGS to Raches! Insta At Magic Show Las Vegas Now! Come join us at the Magic Show in Las Vegas! The show started yesterday and will run through the 18th (Feb 15-18, 2016), so come by the booth and see what’s new. “Thank You” to all who stopped by our Insta booth at the recent ISS Long Beach show! We enjoyed meeting you and appreciate your interest in our newest products. ISS Long Beach Now In Progress! We’ve had a fantastic day at the ISS Long Beach 2016 Show! Our team was busy, and crowd kept coming! Who says you need a tiny waist to wear a corset? Certainly not voluptuous singer Beth Ditto, who recently unveiled a limited-edition T-shirt done in collaboration with Jean Paul Gaultier, the man behind Madonna’s flesh-toned lingerie costumes.